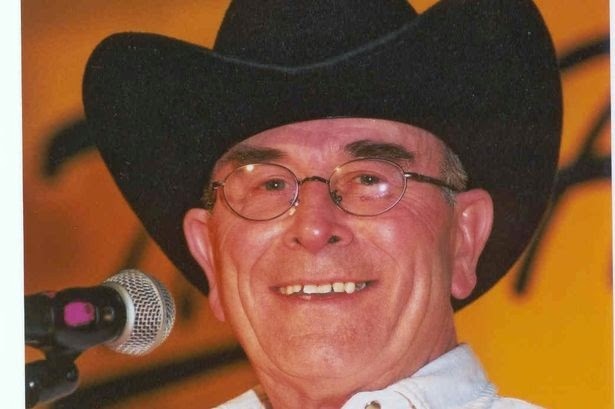 We regretfully report the loss of another iconic figure in the British bluegrass scene: Ken Harris, born 1935, who died on September 4, 2014. Coming from the Co. Down end of the Belfast area, Ken was one of the foremost pioneers of bluegrass in Britain. He was the founder member, the leader, and the moving spirit of the Down County Boys, the first professional and successful bluegrass group in the UK, and the Britain's longest-lived and most award-winning bluegrass band. This band is still going strong. As well as his work with the band as lead singer, guitar player, and frontman on stage, Harris was the founder of the Swanswell Tavern country music club, where he and his band made their debut in January 1965. Also, he was the organiser of the well-known Heart of England Bluegrass Club, whose weekly sessions allowed the best of British and visiting American acts for over 13 years, thus helping to establish bluegrass music in the Midlands. With Ken's passing away we lose an important link with the bluegrass pioneering early days. We owe a great debt to Ken's efforts and are deeply grateful for his life-long work and passion for bluegrass music.